Steve Rosenbaum, President of S.I.R. Marketing Communications, Inc. in New York, has over 20 years of public relations experience in the consumer products, business-to-business and publishing categories with special emphasis on the photographic, digital imaging, consumer-electronics, video, and high-tech computer fields. Prior to establishing S.I.R. 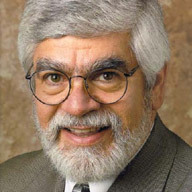 Marketing Communications in 1998, Mr. Rosenbaum was a Managing Director for BSMG Worldwide (formerly Bozell Public Relations) where he headed a consumer electronics practice. Major assignments during his nine years at BSMG included the management of public relations programs for The Photography Information Council and the Consumer Products Group of Minolta Corporation, a leading manufacturer of film and digital cameras, photographic lenses, binoculars, digital film scanners and related accessories. At BSMG, he also oversaw all programs for Minolta's Office Products Division, a manufacturer and marketer of analog and digital black-and-white and full-color copiers, facsimile machines and related office automation equipment. Mr. Rosenbaum rejoined BSMG after 10 years of editorial and executive publishing experience with several publications in the Capital Cities/ABC Publishing Group. At Capital Cities/ABC, he was responsible for the marketing and editorial content of such titles as Modern Photography, High Fidelity, and the Compute! group of publications. Additionally, he was chairman of the board and publisher of ABC Schwann, Inc., and publisher of Musical America. Prior to joining Capital Cities/ABC, Mr. Rosenbaum was an account supervisor with Bozell Advertising, New York. Prior to that, he held editorial and technical marketing positions with Petersen Publishing Company, and the E.I. du Pont de Nemours and Company. Mr. Rosenbaum is a past member of the Board of Directors of the International Photographic Council (IPC), a non-governmental organization of the United Nations. He is also a past board member of the PhotoImaging Manufacturers and Distributors Association (PMDA) and the President's Council of the International Center of Photography. In addition, he is a member of the Industry Committee for Rehabilitation Through Photography, The Professional Photographers of America and the Society for Imaging Science and Technology. He is past president of the American Photographic Historical Society. Mr. Rosenbaum has been featured in various newspaper and magazine articles and is often invited to lecture on a wide range of technology related marketing topics. A graduate of the Rochester Institute of Technology, Mr. Rosenbaum holds a Bachelor of Science degree in Professional Photography. Click here to view his Gallery of images.